The beach—or at least the links land connecting the ocean to terra firma—gave birth to golf so it’s only natural that terrific combinations of the two would exist in close proximity. With summer in full swing, here are the top 10 surf and turf destinations in North America. Kiawah, the 10,000-acre barrier reef island anchored 20 miles south of Charleston, S.C., is revered for its Ocean Course, the moated sand castle built by Pete Dye that hosted the 2012 PGA Championship, but the island is first and foremost a wildlife habitat and sanctuary. The eponymous resort fronts a glorious 10-mile stretch of firm-packed sand where guests can lounge under an umbrella—or beachcomb for sand dollars, moon shells, biscuit clams, and knobbed whelks. Beach toys and games (bocce ball to beach croquet) as well as boards (boogie, skim, surf, and stand-up paddleboards) and ocean kayaks can be rented on this pristine, family-friendly beach. 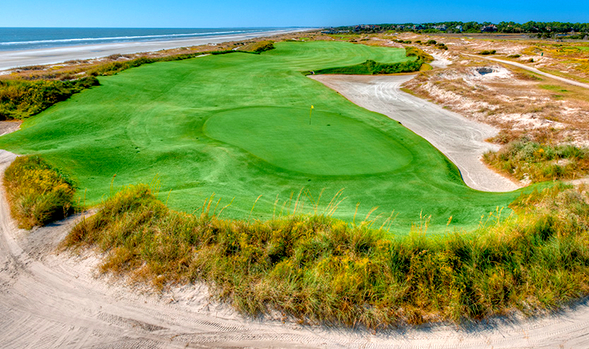 If the Ocean Course is too big a tidal wave challenge-wise, take on one of the resort’s four other courses. Located 30 miles northeast of Jacksonville near the Georgia state line, Amelia is the southernmost of the barrier islands strung along the Atlantic seaboard. It’s also one of the prettiest. Amelia’s natural features—tidal lagoons, saltwater marshes, moss-draped oaks—are set back from a 3.5-mile stretch of broad, uncrowded beach. 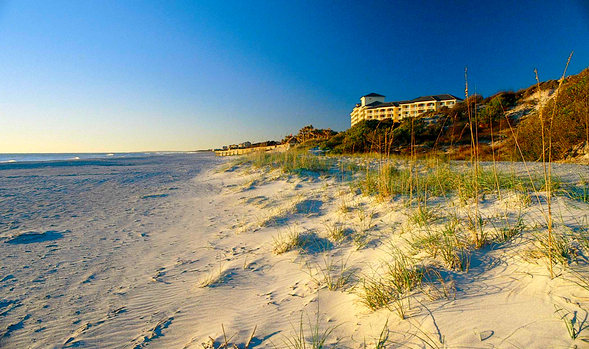 Beach rentals at Omni Amelia Island Plantation Resort range from cabanas and chairs to boogie boards and beach games. As for beachcombing, locals have a passion for finding prehistoric, petrified shark’s teeth. 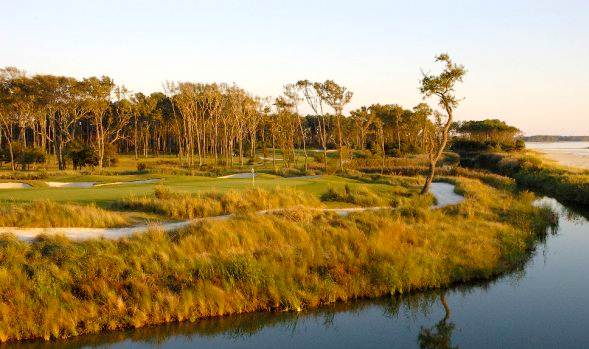 The resort boasts 45 holes of golf by Pete Dye, Tom Fazio, and Bobby Weed, with fairways woven through tidal marsh, live oaks, and sand dunes. 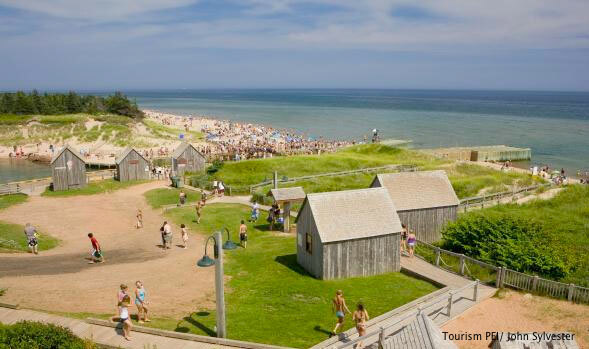 Despite its northern latitude, PEI has some of the warmest salt water north of the Carolinas, with mid-summer temperatures reaching 70 degrees. The island’s red-sand beaches, while popular, are rarely thronged. There is also the bounty of the sea itself: some of the sweetest lobsters in North America are drawn from PEI’s waters. 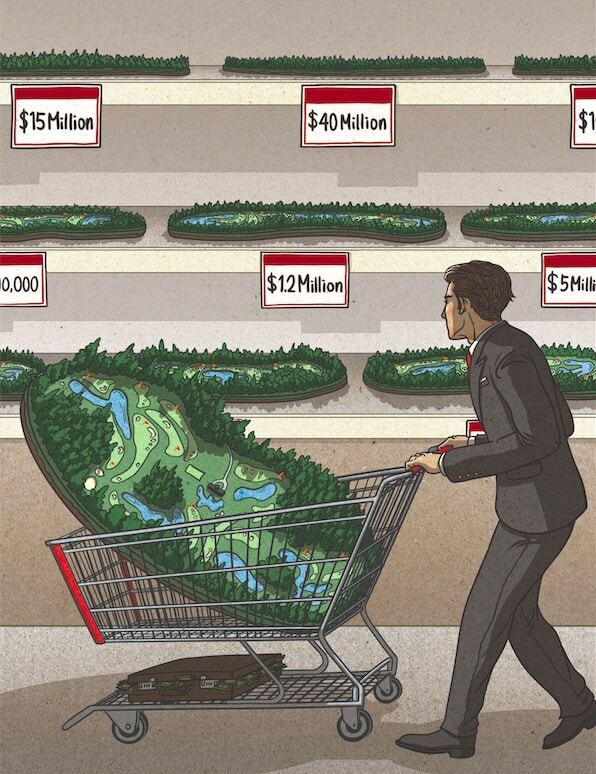 More than 25 golf courses can be found from one end of the 140-mile-long island to the other. The top track is Crowbush Cove, a links-style design that skirts rolling sand dunes overlooking the ocean (actually the Gulf of St. Lawrence) a short distance from Greenwich, a lovely beach in PEI National Park that shelters unique dune formations, rare plants, and the endangered Piping Plover. 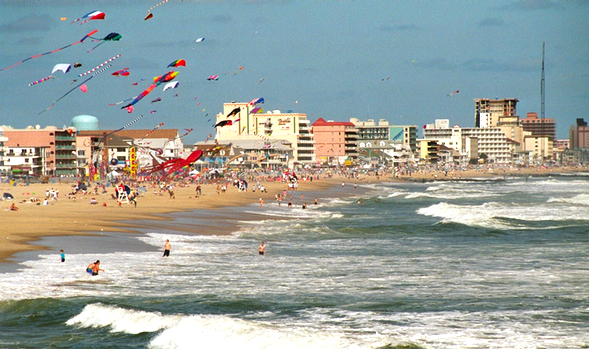 This laid-back beach resort, located within a day’s drive of most major East Coast cities, was founded in 1875 as a fishing village and is home to one of the longest, cleanest beaches on the Eastern Shore. Most of the eight million annual visitors to Ocean City are summer vacationers drawn to the beach and boardwalk’s carnival atmosphere, but Ocean City has repositioned itself over the past 20 years as a full-fledged golf destination. Thirteen public-access clubs (including three in nearby Delaware) are linked with dozens of hotels and motels in the Ocean City Golf Getaway program. Among the top tracks: Links at Lighthouse Sound, Rum Pointe, and Eagle’s Landing. Be sure to sample Maryland crab cakes, a regional delicacy. Two hours south of Boston is a 70-mile dogleg left, a long sandy arm flexed into the sea where the summer ritual of exploring the peninsula’s beautiful beaches has been popular since the Kennedy family put the Cape on the map in the 1960’s. 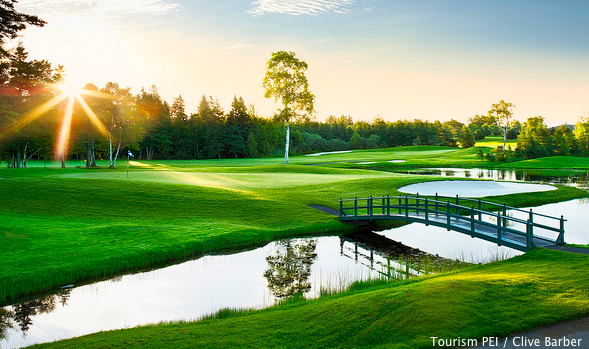 Chatham, a 300-year-old hamlet in the elbow of the Cape that exudes Yankee charm, is home to Wequassett Resort and Golf Club, which has easy access to a pair of exceptional beaches, at Pleasant Bay and the treasured (and lightly visited) National Seashore. In the wake of a $40 million makeover, this secluded resort, its cottages spaced along a wooded bluff overlooking a snug harbor, is the region’s finest hideaway. 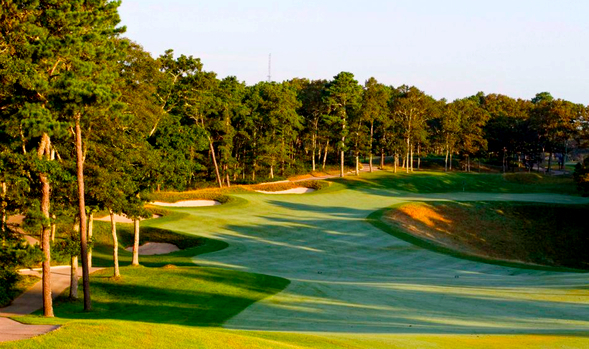 Resort guests have access to adjacent Cape Cod National Golf Club, a private club with a walker-friendly course marked by glacial landforms and cranberry bogs. On a chain of narrow, sandy islands fronting the Atlantic where Blackbeard the pirate buried his treasure and where the Wright Brothers first took flight, a handful of courses have been developed at the northern end of the Outer Banks between Nags Head and Corolla. First-rate creature comforts can be found at the Sanderling Resort, a cedar-shake getaway tucked in the dunes a stone’s throw from the wide sandy beach and adjacent to a 3,400-acre wildlife sanctuary. 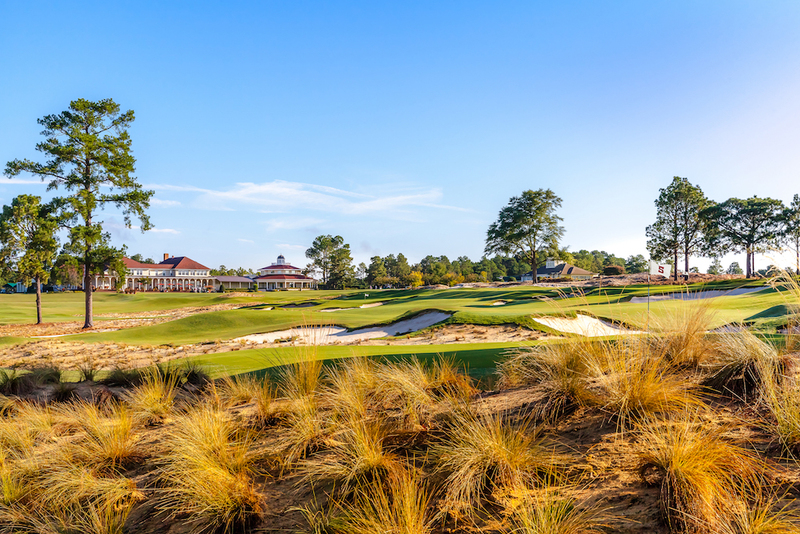 Resort guests enjoy playing privileges at The Currituck Club in Corolla, a low-profile design by Rees Jones that meanders through rolling dunes and skirts brackish wetlands. Several holes are tunneled through live oaks and thick maritime vegetation. Elevated tees offer sweeping views of the ocean and sound. Shifting winds are usually a factor at this well-groomed semi-private club. This oft-overlooked “drive to” destination along the Atlantic Seaboard, encompassing 35 miles of coastline, is a carefree, family-friendly beach town within a day’s drive of one-third of the nation’s population. 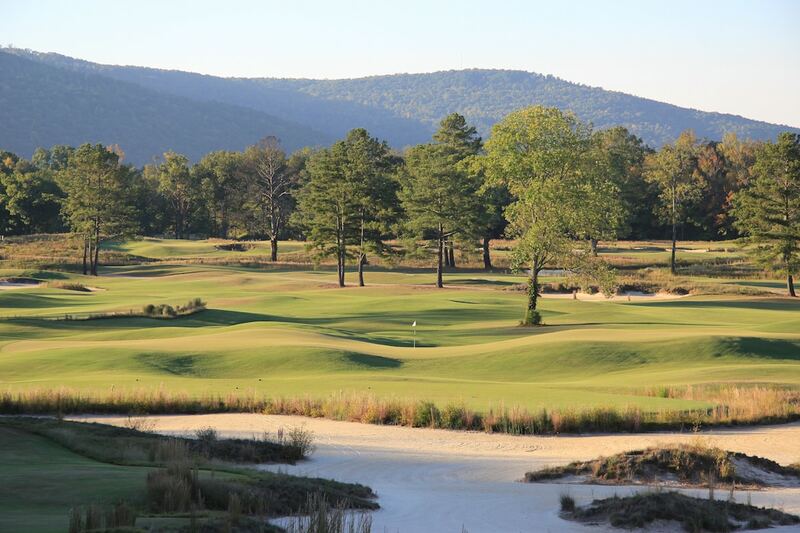 Well under the radar as a golf getaway, Virginia Beach offers a brace of fine courses totaling 198 holes. Among the highlights: Bay Creek in historic Cape Charles, its Arnold Palmer and Jack Nicklaus courses presenting firm challenges and fine views of the Chesapeake Bay; the Signature at West Neck, a Palmer-designed course marked by 13 lakes, dramatic beach bunkers, and expansive wetlands; and Virginia Beach National (formerly TPC of Virginia Beach), a 7,432-yard bruiser by Pete Dye carved from native hardwoods. 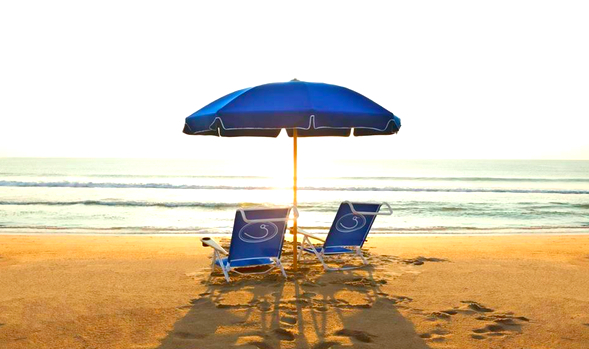 After the round, flop on the beach, stroll the three-mile boardwalk in the main resort area, or head south to quieter, more exclusive Sandbridge Beach. An hour’s drive south of Los Angeles is an upbeat enclave where the SoCal lifestyle was born, where the weather is mild, the surf is up, and the vibrations, as the Beach Boys once sang, are good. 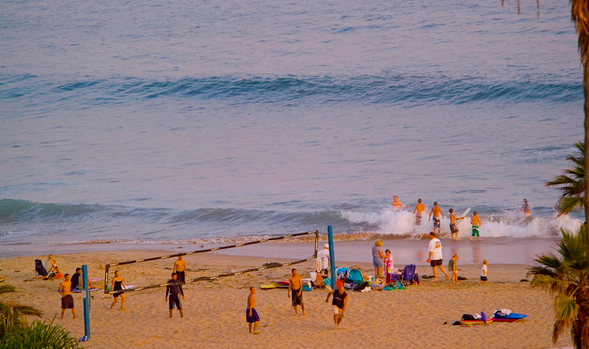 Catch a wave at Huntington Beach, the surfing capital of the continental U.S., or watch the action from Huntington Pier. The sun-drenched region’s top golf destination is the Resort at Pelican Hill, a glamorous Italian-themed property set on 500 acres high above the Pacific. The resort’s pair of Tom Fazio-designed courses, Ocean North and Ocean South, circulates players from tawny bluffs above the beach to broad plateaus creased by ravines. The resort’s ocean and beach activities include kayaking, snorkeling, whale watching, and exploring the beautiful coastline in nearby Crystal Cove State Park. With its southern porch on the Pacific, mild year-round climate, and impressive mountain backdrop, Santa Barbara, located up the coast from Los Angeles, is rightfully known as the “American Riviera.” The golden beaches here are perfect for strolling, swimming, and lounging. The region’s matriarch is the recently updated Four Seasons Resort The Biltmore Santa Barbara. Convenient to the Spanish Colonial-style hotel is nearby Butterfly Beach, known for its stunning sunsets; and East Beach, located at the foot of downtown Santa Barbara. Guests can tee it up at Sandpiper, known for its breathtaking clifftop views; Rancho San Marcos, a Robert Trent Jones, Jr. design nestled on a historic ranch in the foothills of the Santa Ynez Mountains; and Montecito Country Club, a venerable, well-groomed spread with fine views of the sea. East Maui, the larger half of the Valley Isle, is dominated by massive Mt. Haleakala, a 10,023-foot dormant volcano with a broken cone for a summit. 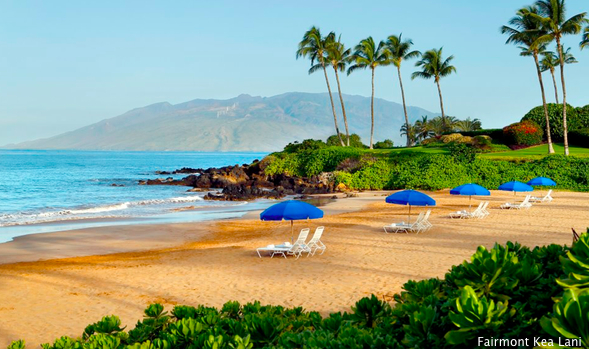 On its western flank is Wailea, a 1,500-acre resort chockablock with top-class hotels, including the Four Seasons, Fairmont Kea Lani, and Grand Wailea. Each of these properties fronts a beautiful scalloped coastline inset with sandy coves ideal for sea-bathing and relaxing. Convenient to the resort hotels are a trio of superb venues. 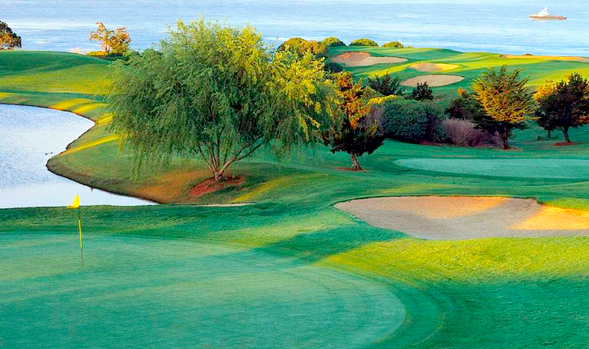 Wailea Golf Club’s Gold and Emerald courses, each designed by Robert Trent Jones, Jr., are exceptional. The Gold is a minimalist player’s track—native grasses, exposed lava, and papohaku (ancient stone walls) frame the course, which drops 200 feet from top to bottom. The Emerald is a near-perfect resort layout that feels like a lush tropical garden with golf holes dropped into it. The views of La Perouse Bay from the 18th tee are alone worth the journey. Old Blue is an agreeable layout with wide fairways and gentle inclines that features fine views of Molokini, a submerged volcano with a crescent rim visible above the waves.